With so many fans waiting, Jeep finally released the 2020 Jeep Gladiator, the Jeep pickup. 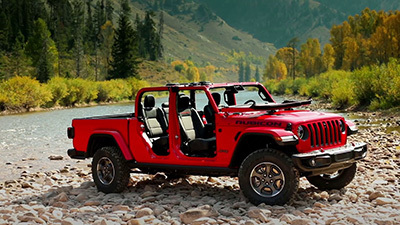 While at first sight, it seems that you are looking at the Wrangler, the truth is that the car manufacturer emphasizes that the 2020 Jeep Gladiator is a lot more than just a Wrangler with a short top and a long frame. According to Jeep, the 2020 Jeep Gladiator is a true, real pickup. Let’s see what you can expect from it. Jeep unveiled the 2020 Jeep Gladiator during the Los Angeles Auto Show back in November 2018. It should go on sale during the second quarter of 2019. In what concerns the price, the vehicle manufacturer still didn’t disclose the price of the 2020 Jeep Gladiator. However, according to most rumors, you can expect to pay more for it than for the Wrangler. In our opinion, we believe that the 2020 Jeep Gladiator should be available at around $30,000. But if you are looking for the fully loaded model – the 2020 Jeep Gladiator Rubicon, you should expect to pay around $60,000. As you look at the new 2020 Jeep Gladiator, you see that almost all the design was what most people were expecting. After all, the 2020 Jeep Gladiator is very similar to the Wrangler with a bed in terms of the design. The front fascia of the 2020 Jeep Gladiator includes the traditional seven-slot grille. Nevertheless, the slots are wider to ensure that the air intake is improved. 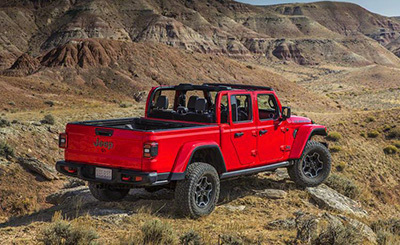 In terms of the cargo bed, many people were looking to see it made of some lightweight compounds to decrease the overall weight of the 2020 Jeep Gladiator. However, Jeep wanted to deliver the real pickup and they made the cargo bed using steel. 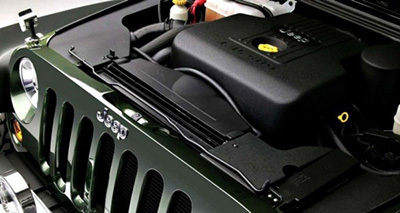 In terms of the similarities with the Wrangler, the 2020 Jeep Gladiator also includes the foldable windshield as well as the engine hood. One of the things that we really like about the 2020 Jeep Gladiator is that you can simply remove the aluminum doors and fold the windshield and you’ll get a unique open-air pickup. The 2020 Jeep Gladiator is not small. After all, it comes with a four-door cab and a five-foot bed. When the 2020 Jeep Gladiator hits the car dealers, it will only have one engine option available. 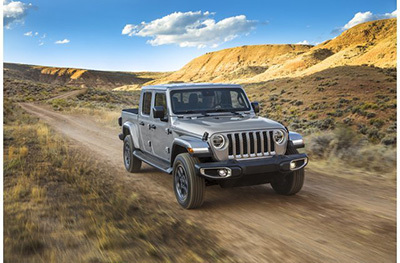 The 2020 Jeep Gladiator comes with a 3.6-liter Pentastar engine with start/stop which has 285 of horsepower and is capable of delivering 260 pounds per feet of torque. While the basic version includes a six-speed manual, we believe that most buyers will opt for the eight-speed automatic transmission. Later in 2020, the 2020 Jeep Gladiator should include other engine options. These include the next-generation 3.0-liter EcoDiesel turbocharged V-6 engine with start/stop. This engine has 260 of horsepower and is able to deliver 442 pounds per feet of torque. This version of the 2020 Jeep Gladiator should come with the eight-speed transmission. Also in 2020, the 2020 Jeep Gladiator should also have a 2.0-liter turbo four-cylinder gas engine available. The four-wheel drive is standard and the 2020 Jeep Gladiator will have four different trim levels: the Sport, the Sport S, the Overland, and the Rubicon. 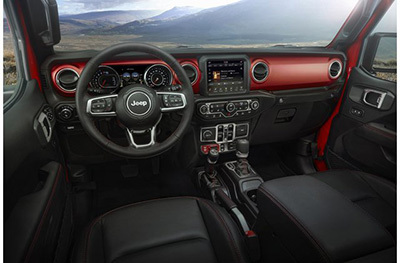 Just like the exterior, the interior of the 2020 Jeep Gladiator is very similar to the Wrangler. While the center stack remains a bit cluttered, the truth is that you’ll be able to enjoy the new soft-touch surfaces and the high-end materials. You’ll be able to take advantage of the sizable display that is mounted between the speedometer and the rev counter that displays information about the Gladiator. In terms of the leg and head space, the 2020 Jeep Gladiator has more space inside, especially in the rear seats. All seats have different options that include lumbar support, heating function, and the rear seats can also be folded.